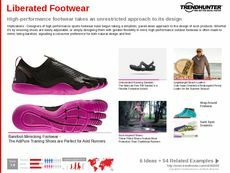 Find Better Ideas, Faster ® with a custom fashion trend report, our PRO Dashboard and 80+ categories of premium trend reports. Within Trend Hunter's Fashion Research, we explore the diverse and ever-changing marketplace for clothing and accessories. Our data-driven research presents information about designer labels, eco-friendly fashions, athletic attire and accessories. Our research reports and presentations will provide an in-depth look at demographics, lifestyles, material usage and current style trends. From lingerie lines to tech-embedded clothing, our research touches on all facets of this fast-moving industry. Trend Hunter's Fashion Research is carefully designed to aid those working in this industry. It can provide insights for fashion designers, retail outlet managers and marketing agency representatives who want to gain a deeper understanding of future fashion ideas. It can also be used by clothing manufacturers and fashion buyers who are focused on a particular aspect or consumer demographic. Having advised top-tier brands like Adidas, Victoria’s Secret and Lacoste, Trend Hunter provides clarity and direction when navigating the ever-changing world of fashion. 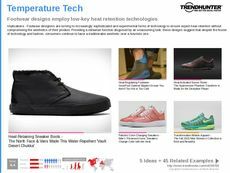 Whether you’re looking to target a new demographic or explore a new partnership, Trend Hunter’s insights will give you the knowledge and confidence your team needs to stay on the cutting-edge of fashion.